"Nothing goes as well with gin as lime!" Place sugar in a shallow dish; dip rim of chilled glass into sugar so rim is coated. Scoop ice into a shaker. Pour gin and lime juice over the ice, and shake well. Pour drink into prepared glass. 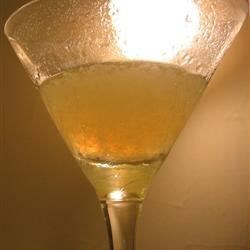 See how to make a gimlet cocktail with vodka or gin. One of my favorite drinks! I usually make mine 2:1 gin to Rose's Lime (the best sweetened lime juice), and garnish with a lime instead of the sugared rim. This wasn't very good. tasted like limeaid, not a gimlet. You're supposed to use Rose's Lime Juice AND fresh lime, and no sugar. I generally use vodka, too. Oh well. One of my favorite cocktails! I only used fresh lime juice. I don't think the sweetened would be very good but I like sour flavors. Such a retro drink! It just makes you feel so sophisticated. I love it! My abosolute favorite drink. A classic that you cannot go wrong with. This drink was a hit! I used the Rose's sweet lime juice and it was perfect! I will definately be making this drink more often! Use Duffy's Lime Juice if you can find it. Best in Gimlets and Margaritas.